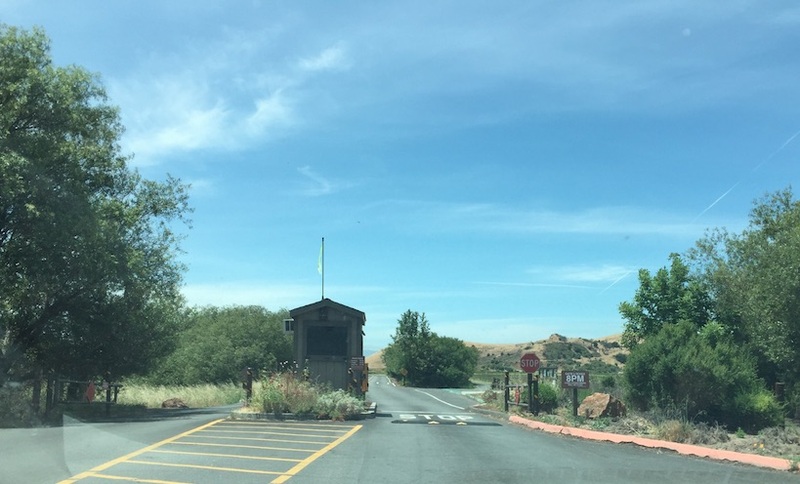 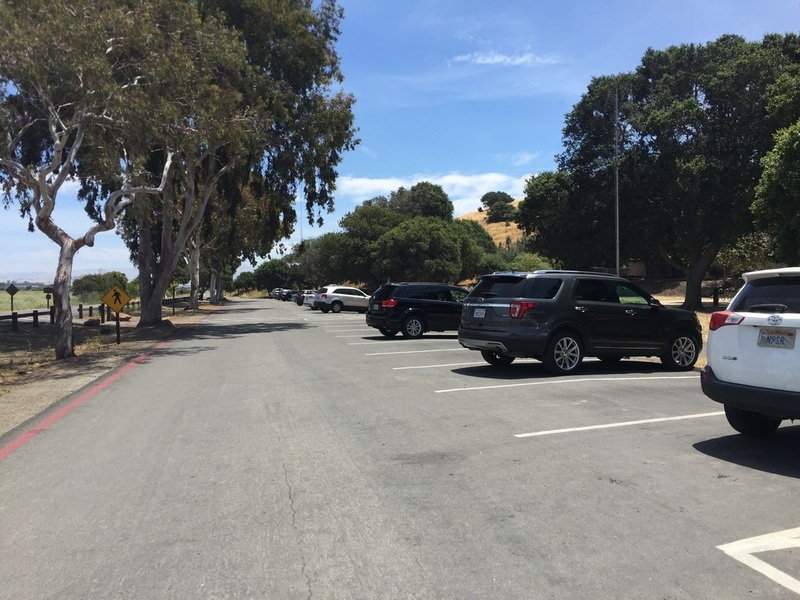 Parking: Park near the visitor’s center (fee is $5 per vehicle and $2 per dog via automated machine. Bring cash). 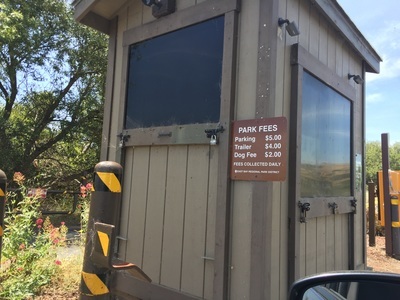 You can park for free outside the park but you will have to walk about 1 mile to reach the main scenic trails in the park. Hours: Apr 16- Aug 31: 8AM-8PM, Sept 1-Oct 31: 8AM-7PM, Nov 1- Dec 31: 8AM-6PM, Jan 1-Mar 12: 8AM-6PM, Mar 13- Apr 15: 8AM-7PM. Regulations: Dogs allowed on-leash. 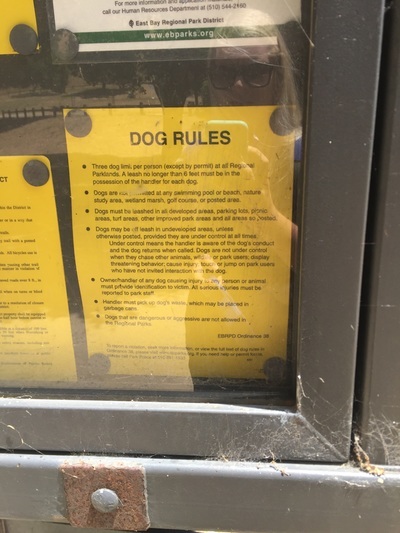 Dogs are not allowed on the marsh trails or in the Don Edwards Wildlife Refuge. 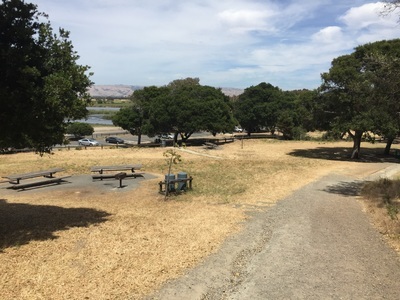 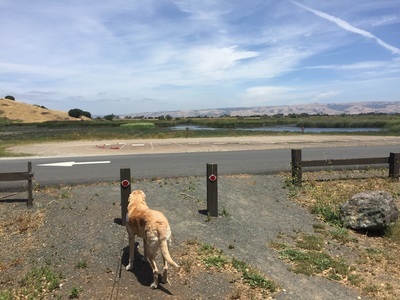 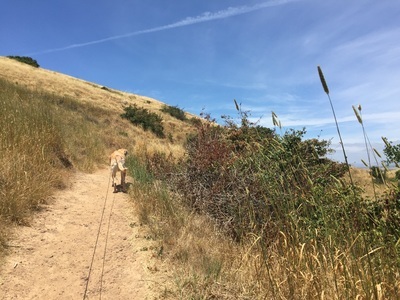 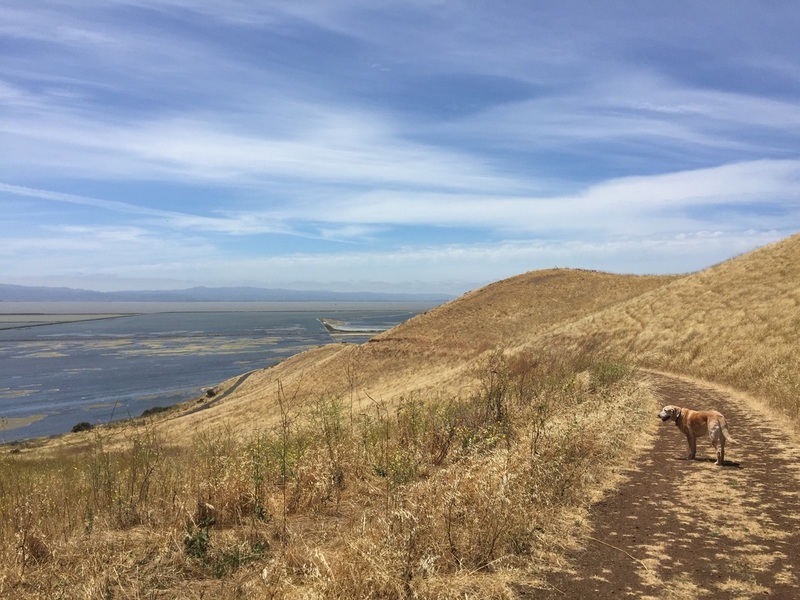 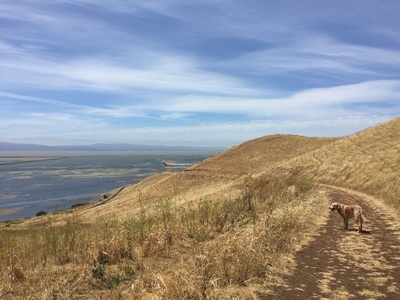 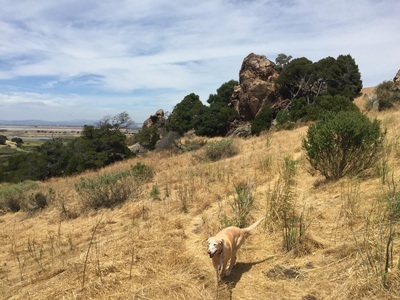 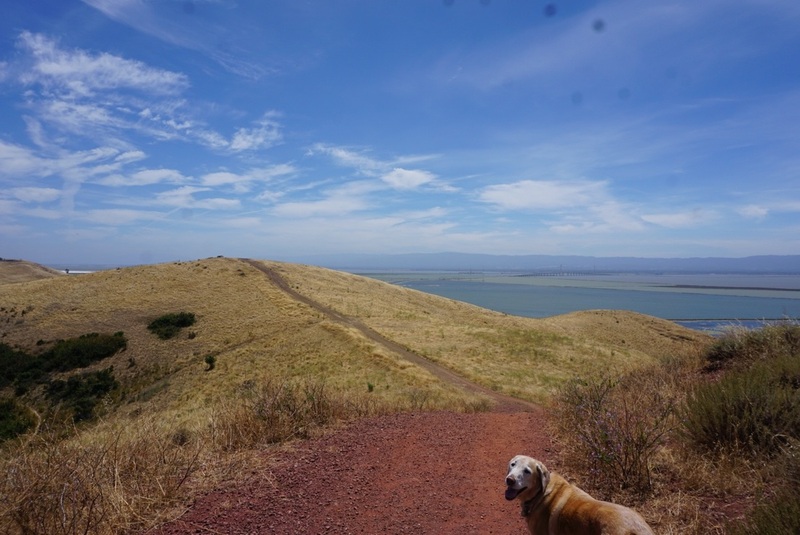 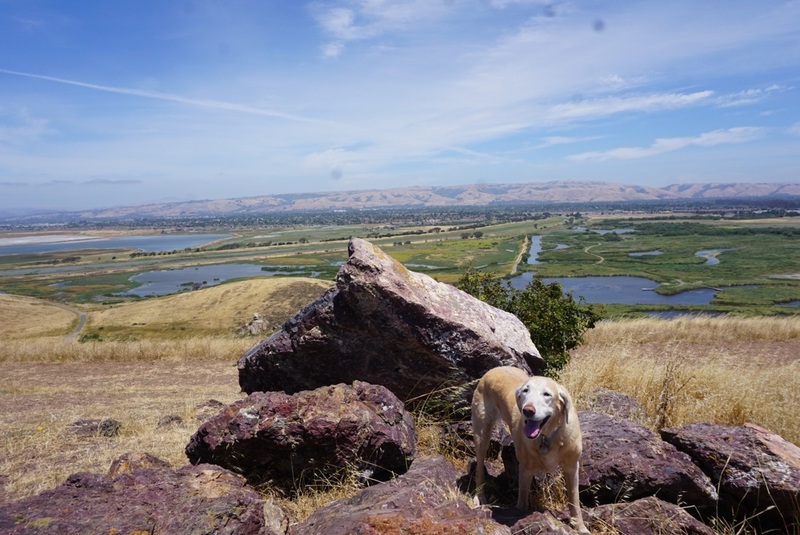 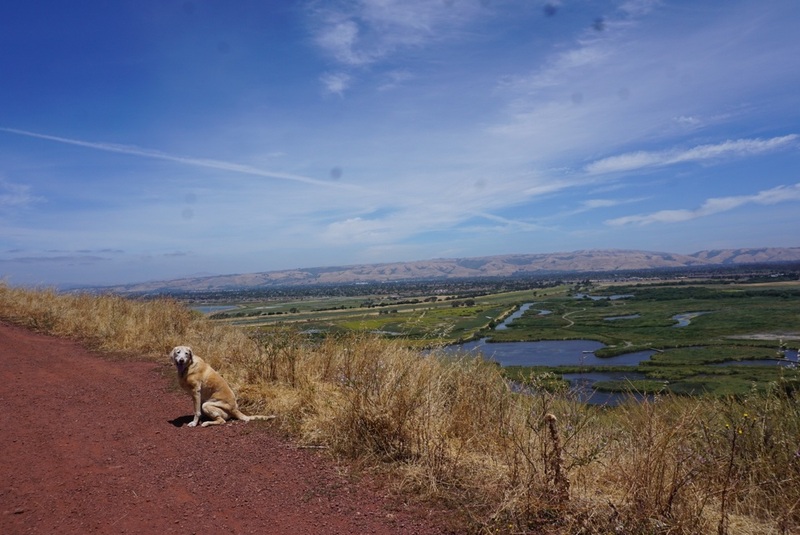 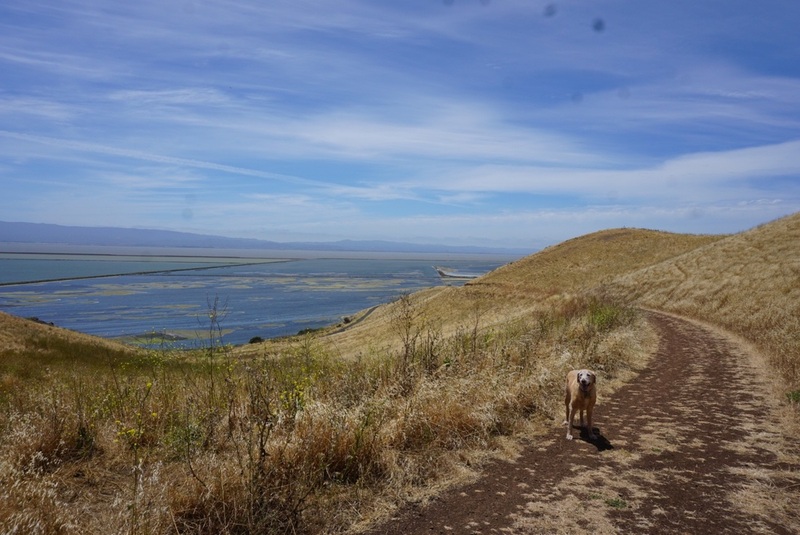 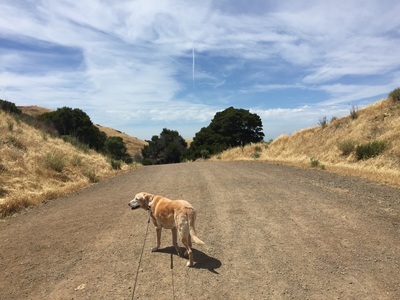 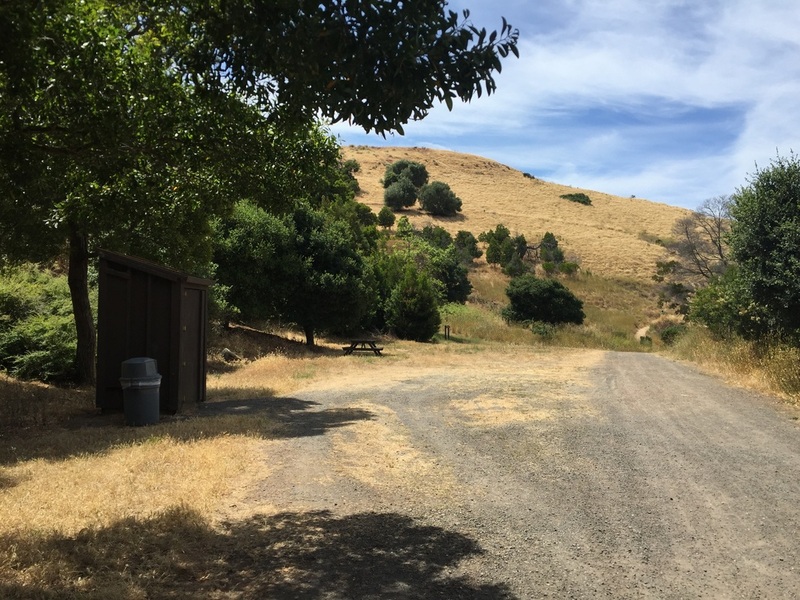 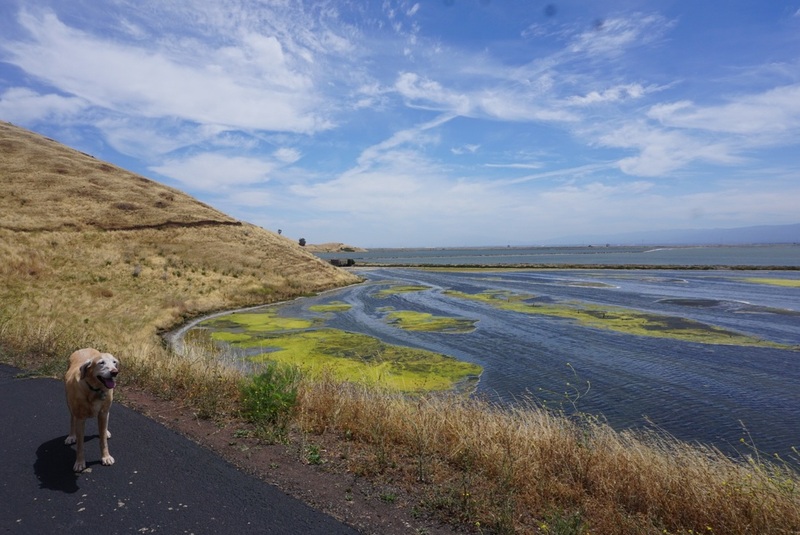 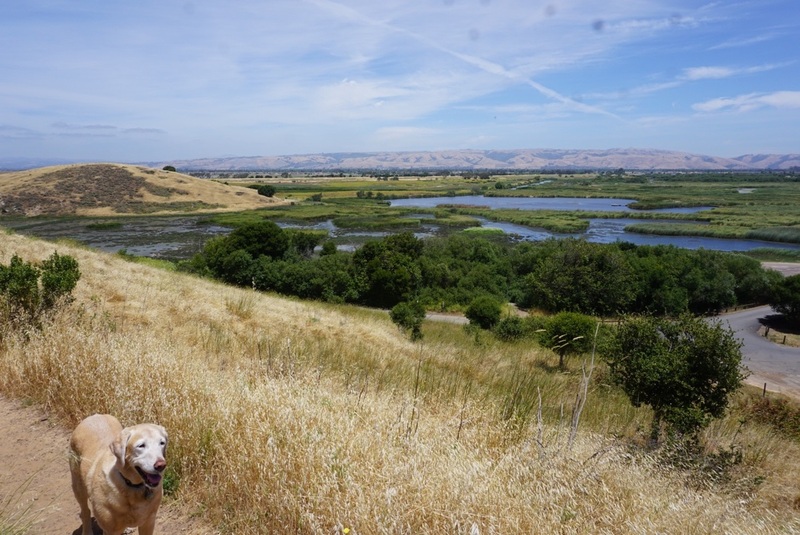 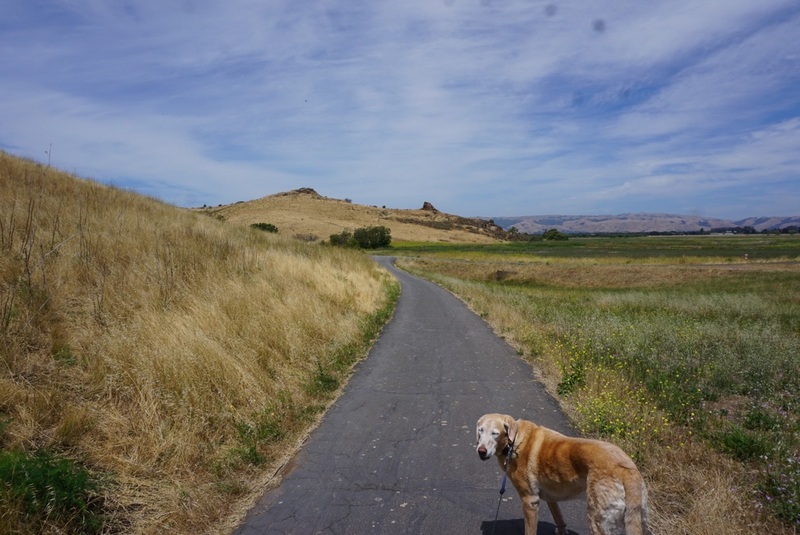 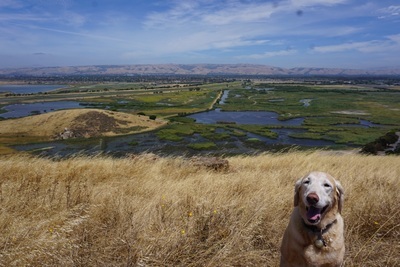 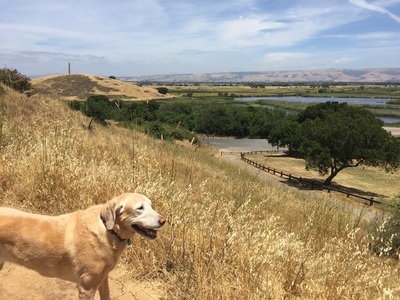 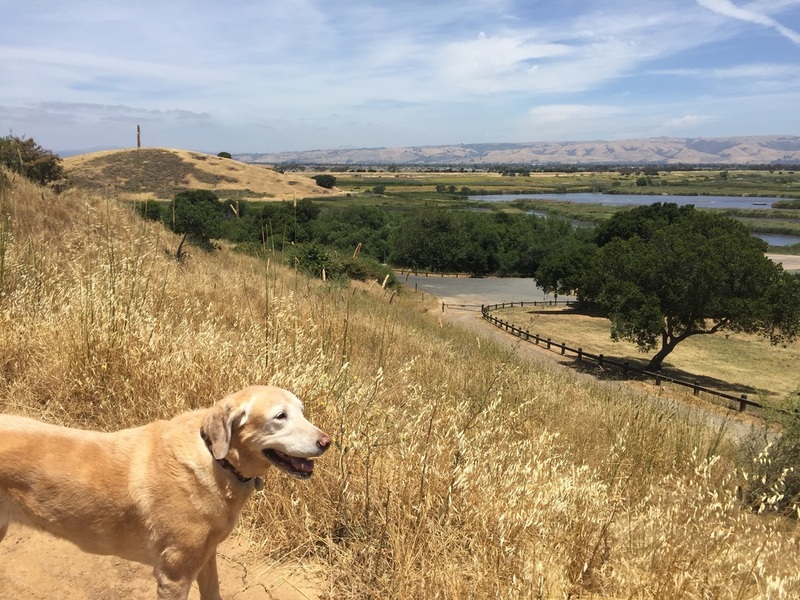 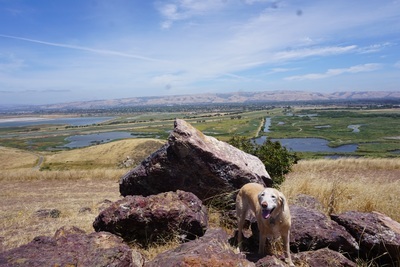 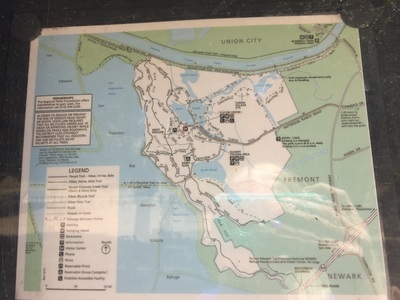 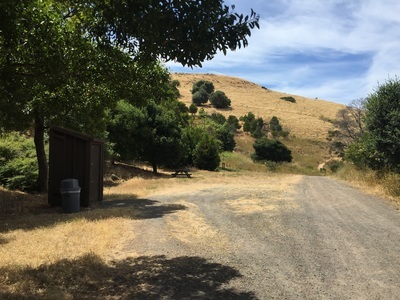 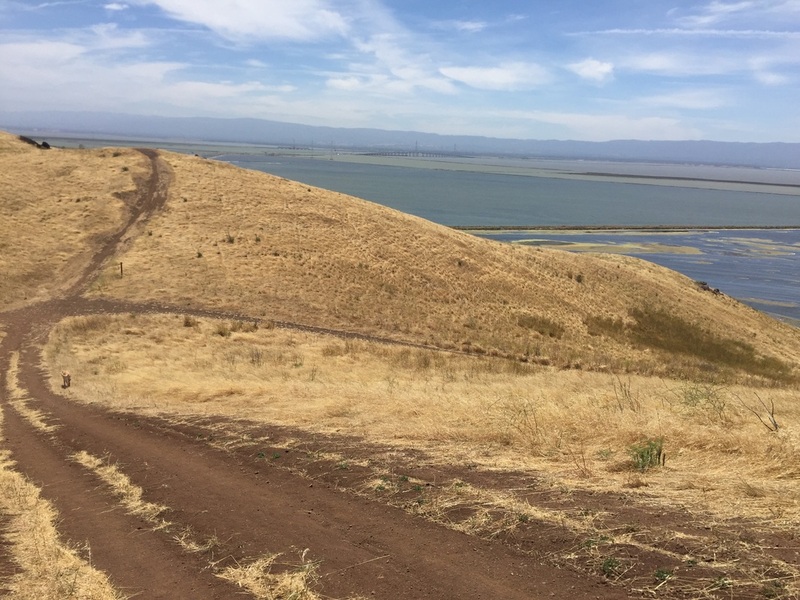 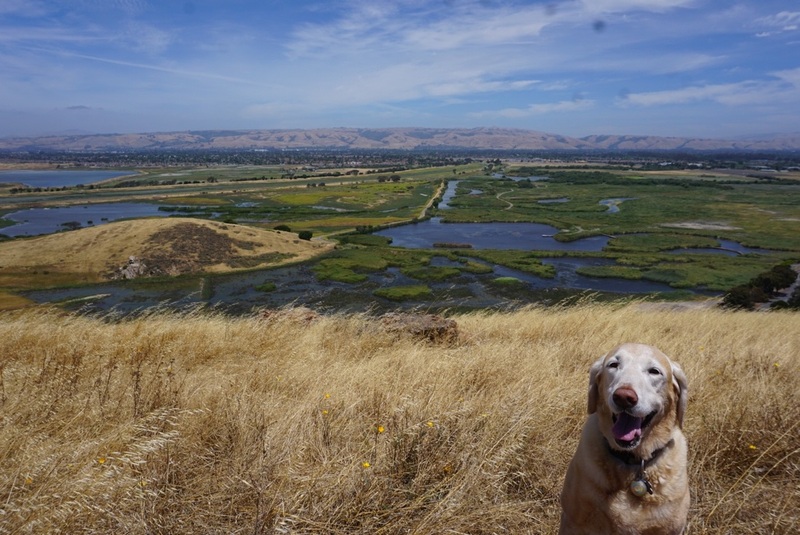 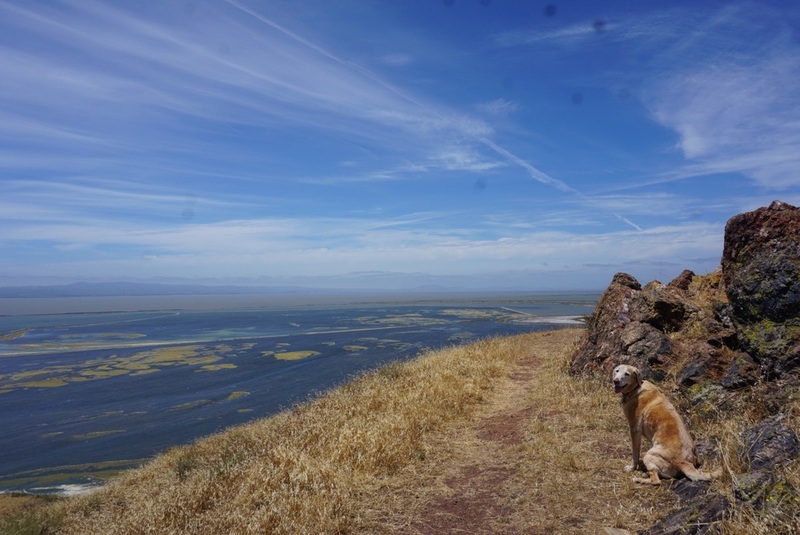 Description: This 978-acre park features breezy trails on the hillside and along the marshland with views of the Bay, Fremont and Newark. 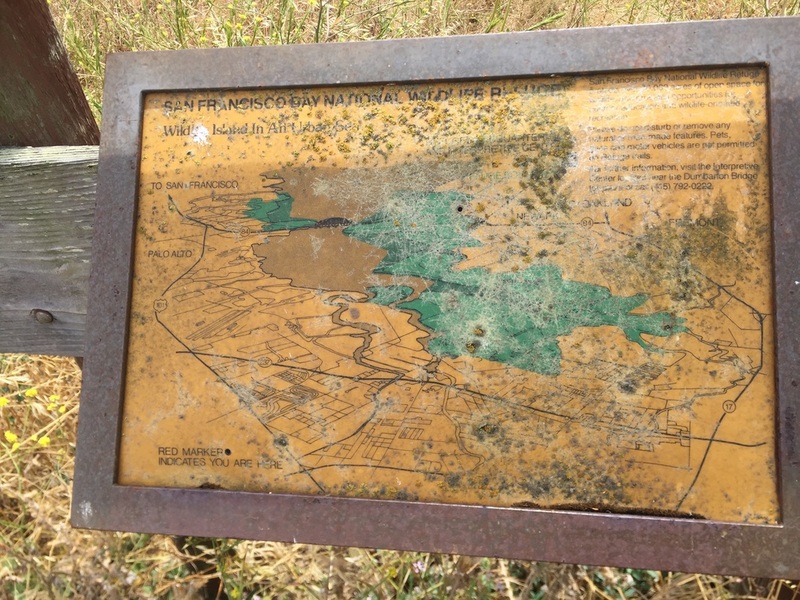 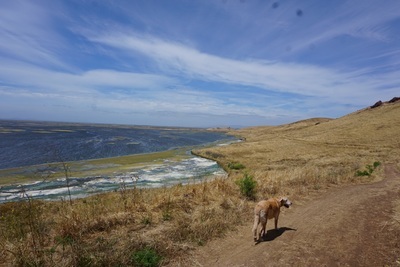 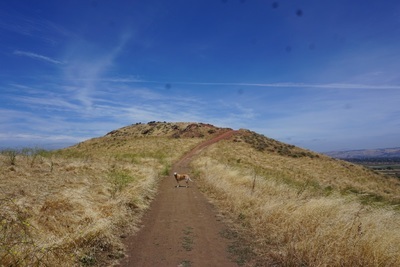 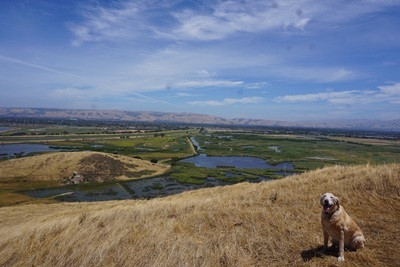 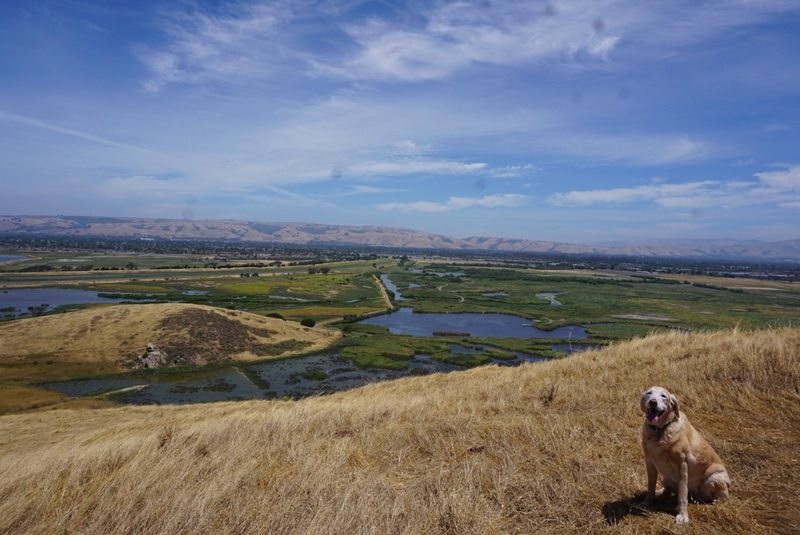 The land has quite a history including being home to the Ohlone Tribe, and then it became transformed into a rock quarry, a dairy, a military missile site and a salt production site. You can hike up to the top of Glider Hill for panoramic, 360 degree views of your surroundings. 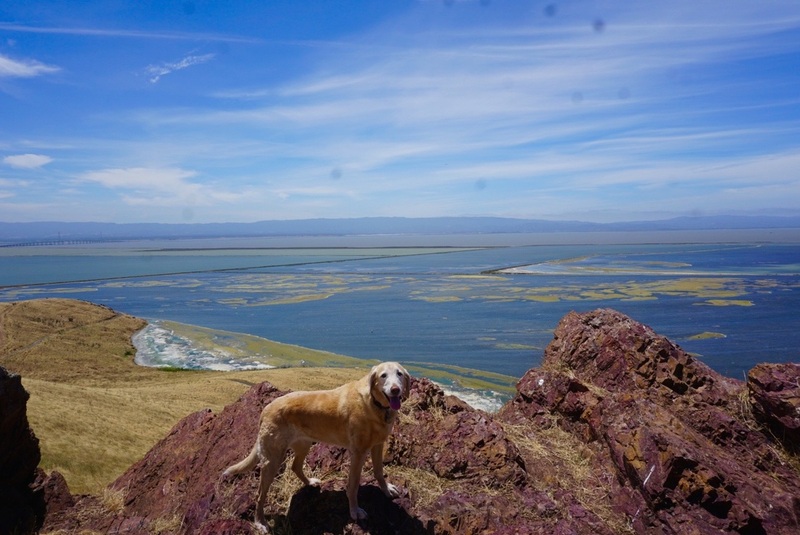 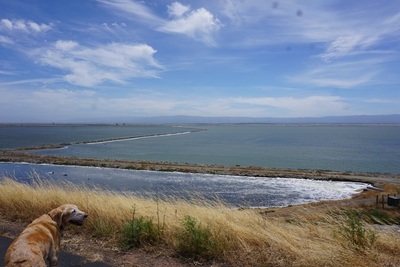 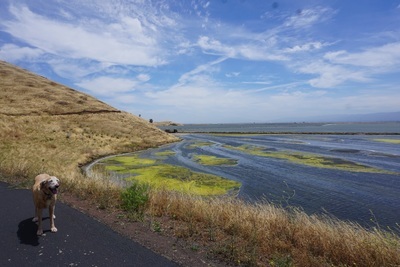 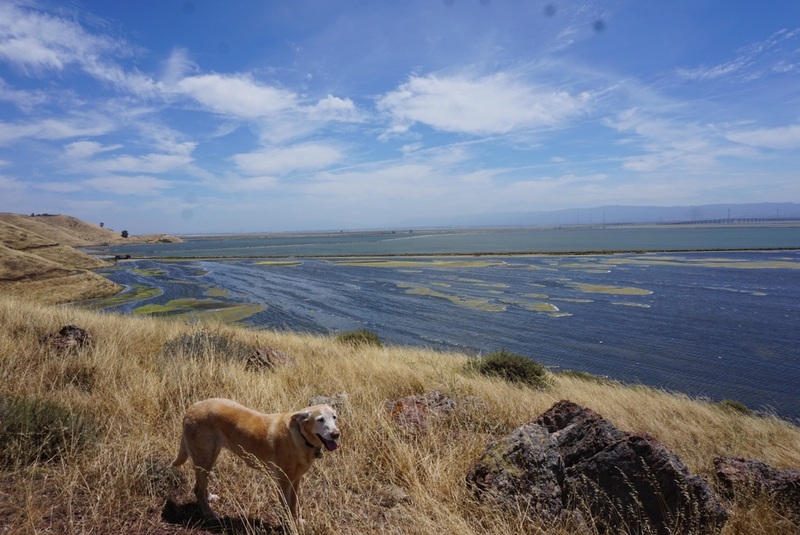 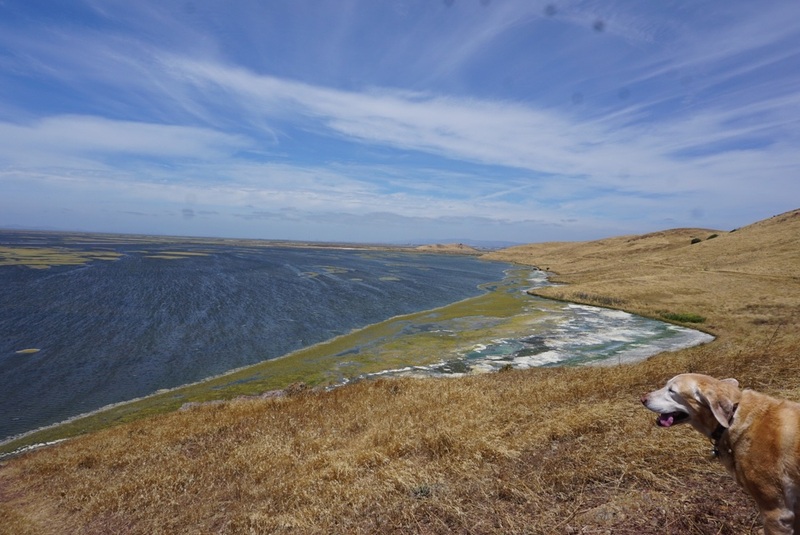 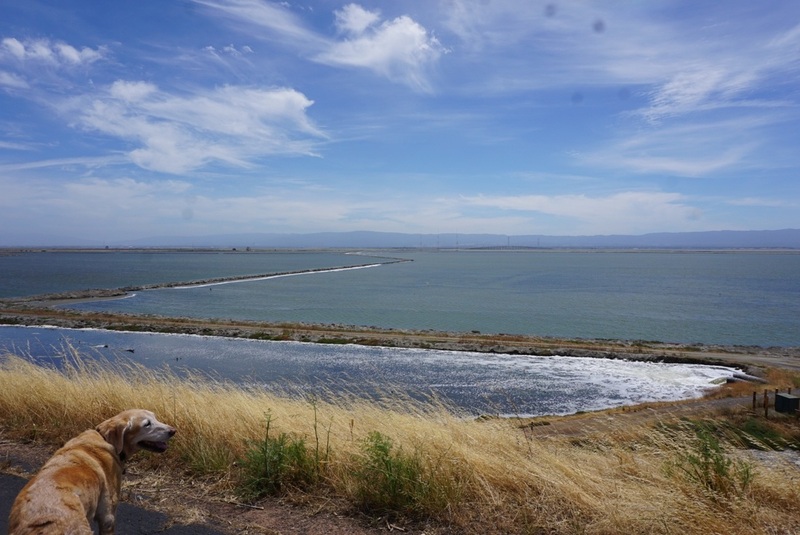 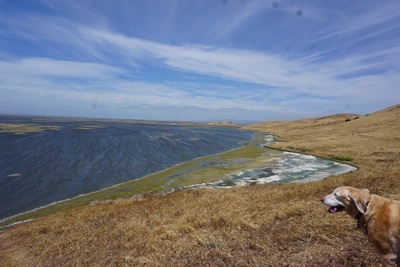 The vibrant green and blue marsh rests against the inland side, and the unique salt evaporation ponds hug the shore of the bay. 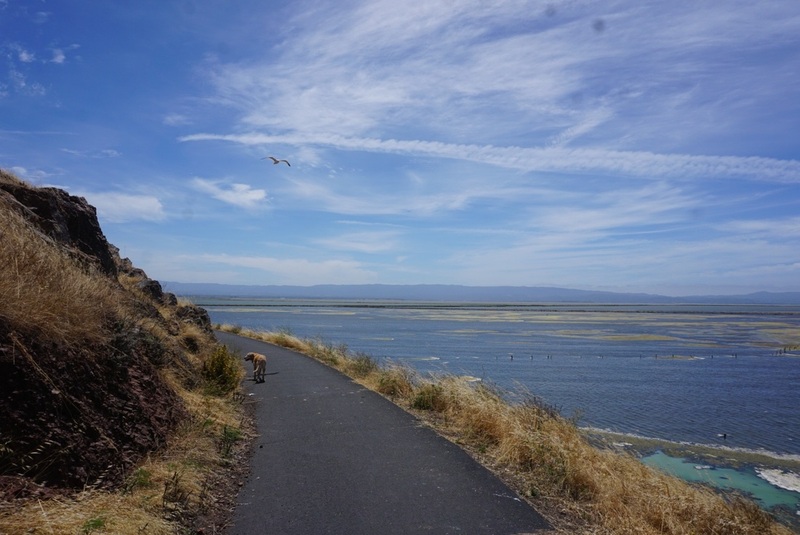 You can view the Don Edwards Wildlife Refuge from the shoreline Bayview Trail, and it’s a great place to bird watch. 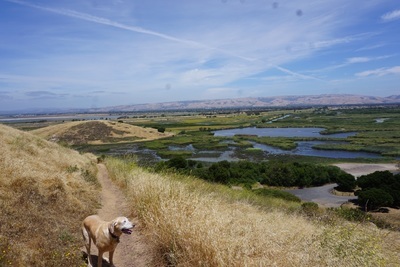 You don’t even need binoculars because you will be able to see falcons, hawks, and seagulls fly overhead and ducks, egrets and flocks of pelicans in the waters below. 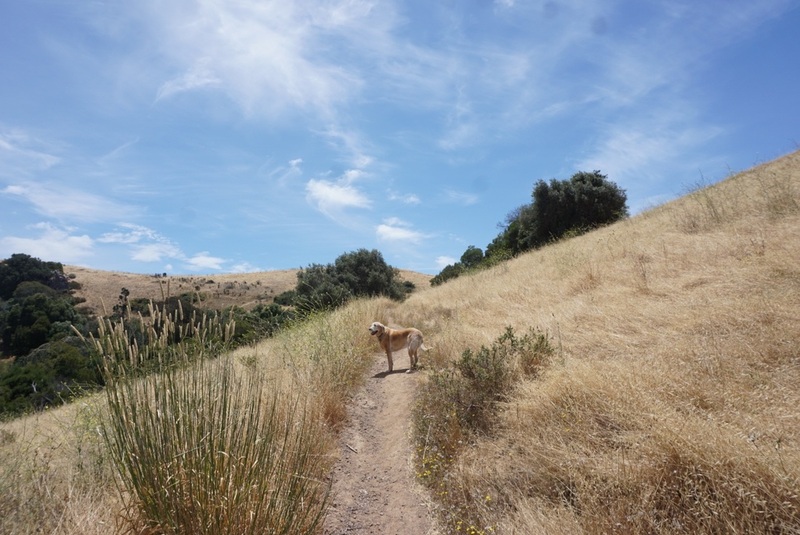 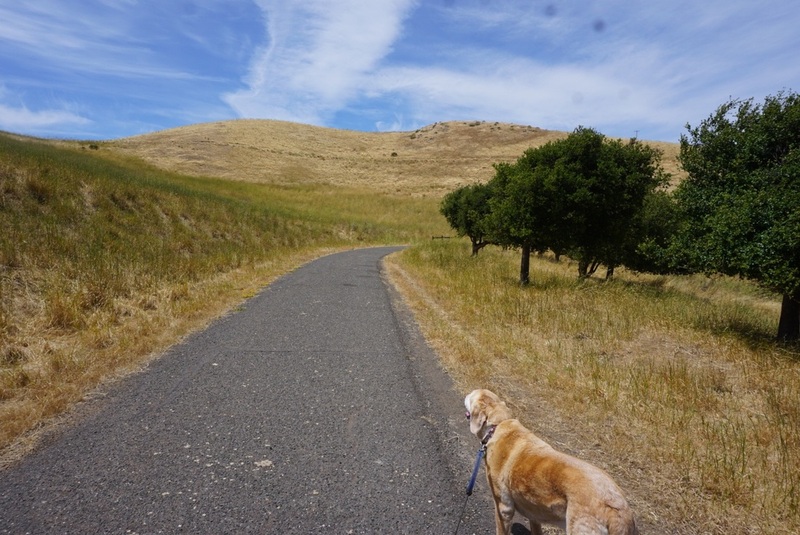 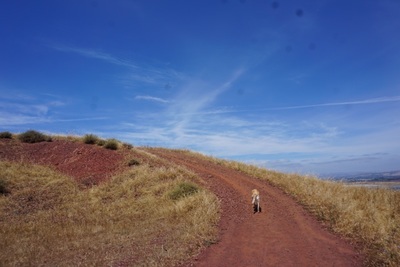 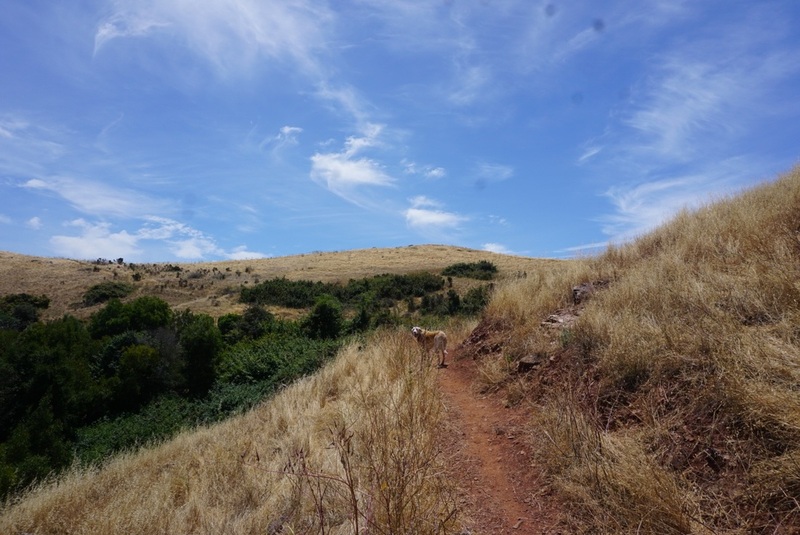 For our hike, we parked at the visitor’s center, hiked up the steep Glider Hill Trail and to the steep peak of the Red Hill Trail. 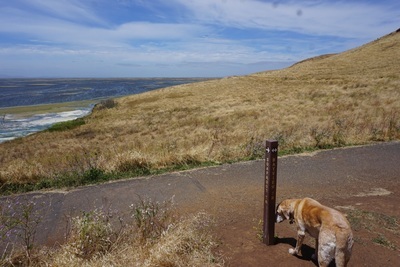 There’s a nice bench here with panoramic views and some interesting rock formations. 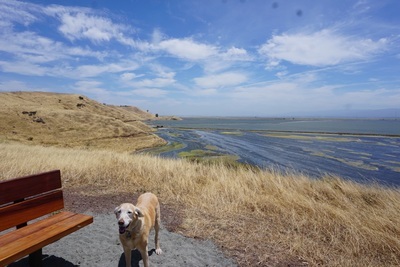 We also walked down to the bench on the Soaproot Trail for views of the bay. We walked down the Nike Trail and over the Bayview Trail and enjoyed bird watching along the shoreline. We hiked past the Dairy Glen campground, up the Qual Trail and back to where we started. 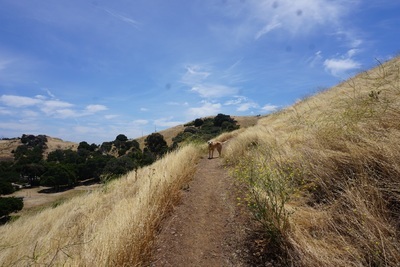 This hike was a little over 3 miles and can easily be extended into a longer hike. This park has picnic tables, garbage cans, a water fountain and pit toilets near the parking lot. 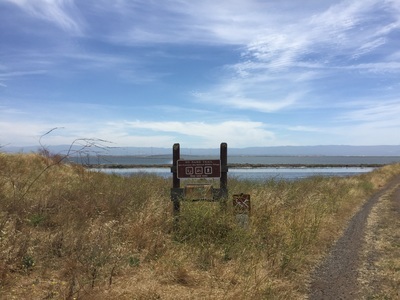 Restrooms with running water are available in the visitor’s center. 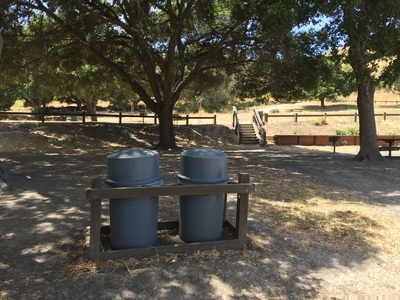 Pit toilets can be found in several spots throughout the park, and an additional water fountain is available at the Dairy Glen campground.